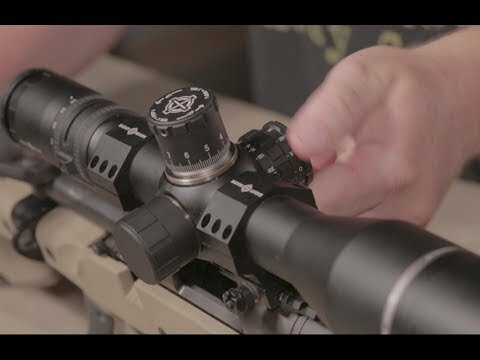 Engineered for precision long-range shooting out to 1,000 yards and beyond, the first-focal plane Pinnacle 5-30x50TMD Riflescope is ideal for F-class competition shooting and law enforcement applications. Its zero stop elevation dial allows shooters to easily set a stopping point at the chosen sight in range, guaranteeing an instant return to the original zero every time. The 34mm tube maximizes internal adjustment range and offers improved rigidity compared to 30mm and 1-inch tubes - perfect for long-range, high-caliber rifles. Additionally, its large 50mm objective lens maintains a bright, high-resolution image, critical for long-range precision. The Pinnacle has been tested and comes recommended by the National Tactical Officers Association to enhance the performance of law enforcement personnel and tactical response teams.